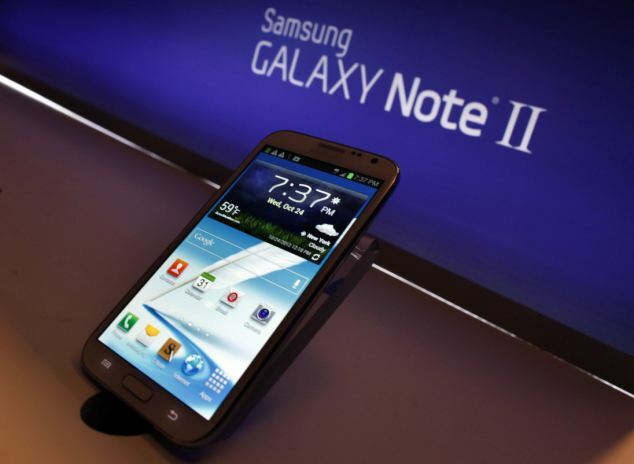 Samsung has sold more than 3 million units of its big screen Galaxy Note II smartphones in 37 days after its launch, it was announced today. Samsung, which was the world’s largest maker of smartphones in the July-September quarter, said it took 37 days for the oversize smartphone to reach the sales figure. Galaxy Note II was released first in South Korea in September and in the U.S. and other countries in the following month. Samsung’s Note category took off in the market, overcoming skepticism about its big size making it look awkward when held close to the face. The Note was one of the few 5-inch smartphone in the market when the first model was unveiled last year, making some people believe it would become a “tweener” that is neither a tablet nor a smartphone. But phone manufacturers began to expand screen sizes this year. Even Apple released a bigger iPhone this year, bumping the screen to 4 inches. The Note series is one of the two key mobile devices from Samsung on the high-end smartphone segment, along with flagship Galaxy S III smartphone, helping Samsung rake in profit for the business division that is responsible for more than 70% of the company’s quarterly sales. The latest iteration of the Note features a screen measuring 5.5 inches diagonally and a digital pen for note-taking. Samsung is pinning its hope on the Note II and the S III to maintain its market lead during the crucial fourth-quarter holiday season, when a number of new gadgets are vying for attention from consumers in the crowded market. Research firm IDC said Samsung topped the global smartphone market in the July-September third quarter with 56.3 million sales, more than double Apple’s 26.9 million iPhone sales. The two companies controlled combined 46% of the global smartphone market, according to IDC. Apple’s iPhone 5 sold 5 million units in its first three days, eclipsing the Galaxy sales. Apple also said over 100 million devices were updated to its new iOS software when it was released.